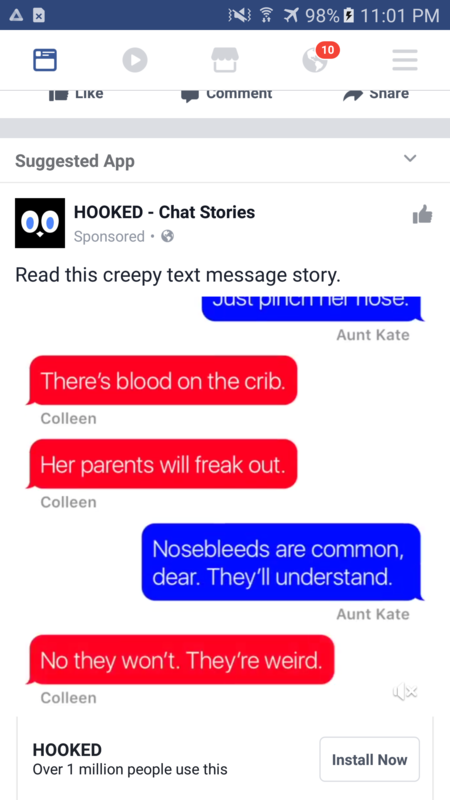 HOOKED lets you read amazing chat stories on your phone. These are gripping, edge-of-your seat thrillers that will keep you reading for hours. Or, write your own story and get lots of fans! Every HOOKED story is told as a bite-sized text message conversation, as if you were reading someone else's chat history.We love reading, just like you, but we know it can get BORING when stories are too long. So we created this app to make reading snappy, spooky and fun.New stories added daily!Questions? Email support@telepathic.tv for help!